Moving from NJ to Tennessee requires months of preparation, packing, and planning, whether you are moving for employment reasons or simply for a change in scenery. Since 1977, Simonik Moving & Storage has helped countless homeowners transition to their homes with our exceptional, affordable services, and we’re proud to be both a BBB-accredited business and an award-winning agent of Allied Van Lines. 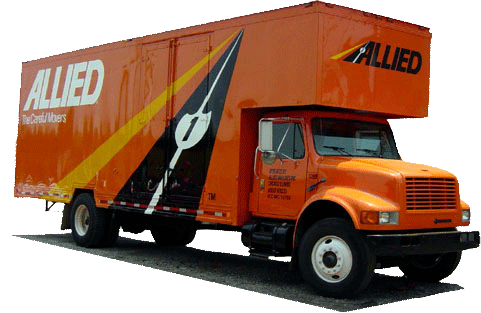 As part of the Allied team, our crew is connected with a nationwide network of moving and storage professionals, and you can rely on us to handle household moves of any size throughout the entire United States. Every relocation has its own unique needs, and the moving provider you choose should be able to coordinate all the details of your move. With the help of Simonik, you get full-service support from an expert crew, and we’ll even come to your home to provide you with a free, written estimate of your costs for moving to Tennessee from NJ. Throughout the process, a Relocation Coordinator will also work with you and your family, giving you the support you need to navigate the complex, long-distance relocation experience. Figuring out what to do with all of your belongings during a NJ to TN move can be a challenge, but Simonik offers both short- and long-term storage solutions to make the process easier. When you choose us to keep your belongings safe during a move, you can feel confident knowing that they will be stored in secured storage containers designed for long-distance shipping, and we offer flexible plans that have you covered for as long as needed for you to complete the moving process. Making a move from NJ to Tennessee is an easy process with Simonik, and we serve residents in several locations throughout North and Central Jersey, including Hunterdon, Mercer, Middlesex, Monmouth, Morris, and Somerset counties. We’re proud to be both a past recipient of the “Mover of the Year” award from the New Jersey Warehousemen & Movers Association and a ProMover member of the American Moving & Storage Association, and we work tirelessly to stay fully up-to-date on any special requirements for successfully executing long-distance moves. Choosing the right moving company to handle your long-distance relocation is a big decision, but you can’t go wrong working with the expert team at Simonik Moving & Storage! Get started today by giving us a call to speak with one of our NJ to TN moving experts, or request your free, no-obligation estimate now by submitting our online form.